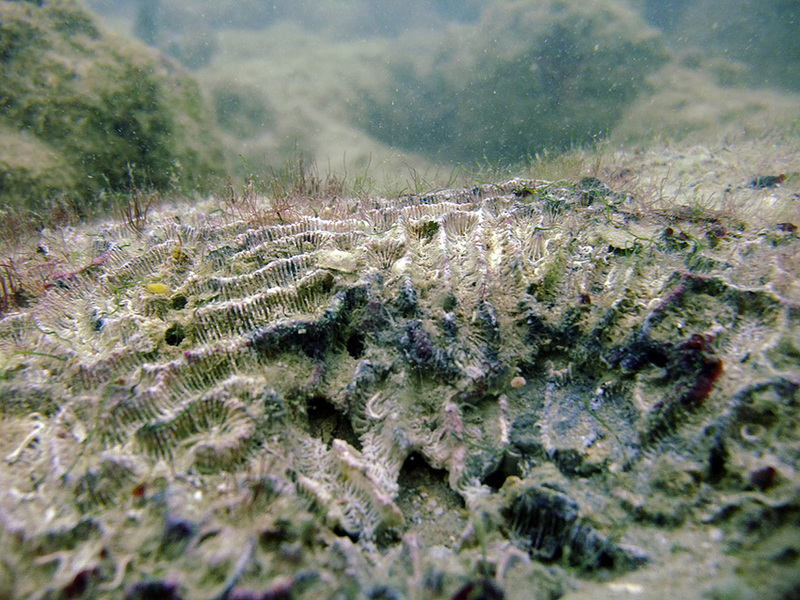 When I joined a marine conservation programme I was dreaming of beautiful underwater worlds. I was thinking about taking some colorful pictures and getting indelible impressions. But little did I know about all those reef issues such as coral bleaching and pollution. Underwater surveying in random sites around Tobago and going to places that normal divers would avoid made me realize that modern coral reefs are not what they used to be in the Cousteau TV series. 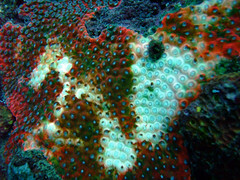 Bleaching usually occurs in mass bleaching events with 60-90% mortality of corals in very large areas and it is common everywhere these days, aside from may be the Red Sea. 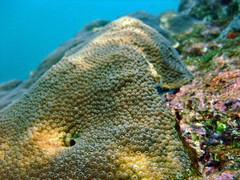 If the corals manages to recover, the survival battle is not over for it. It is still weak and can catch various bacterial and viral diseases. Those are just a few examples of what we were monitoring around Tobago. 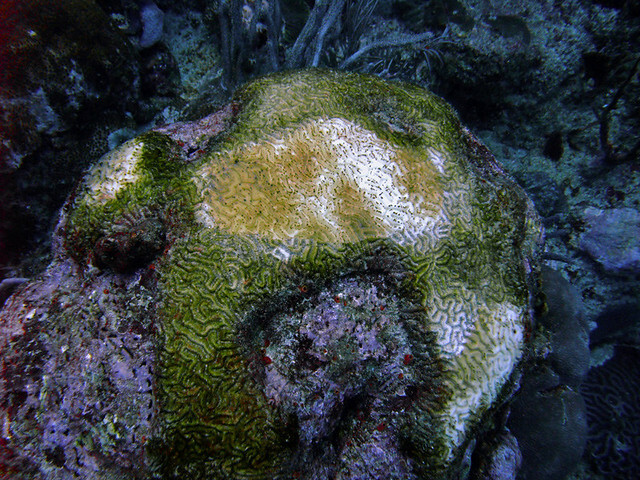 Of course there are lots of spectacular unaffected dive sites even in the worst areas in terms of coral bleaching events. But it doesn't change the facts and that they might be gone soon. 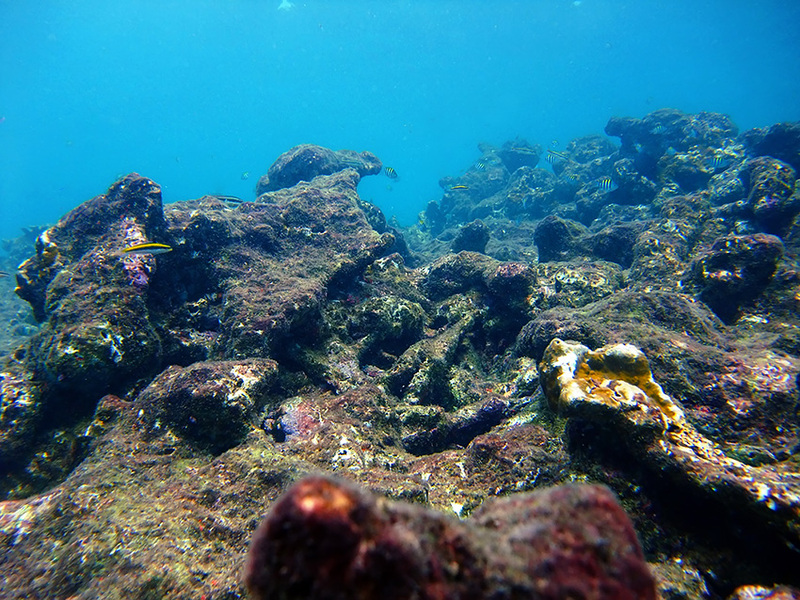 It was so sad to discover how much of coral cover has disappeared in the ocean recently, Wikipedia claims that up to 90% of corals vanished in many areas of the Indian Ocean and the general predictions are very pessimistic. 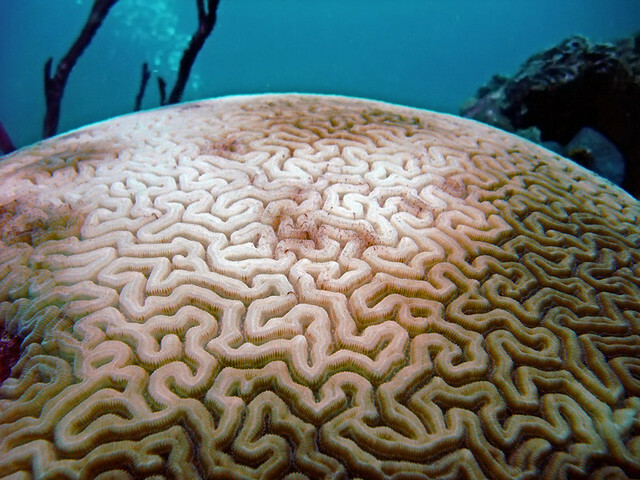 Above is the largest brain coral in the northern hemisphere. 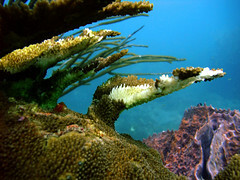 It got affected by bleaching at the end of 2010 for the first time. It's huge: the bottom is at 16 ish meters and the top is at 12. There were lots of giants around, but they all have died. From the look, some of them quite recently. 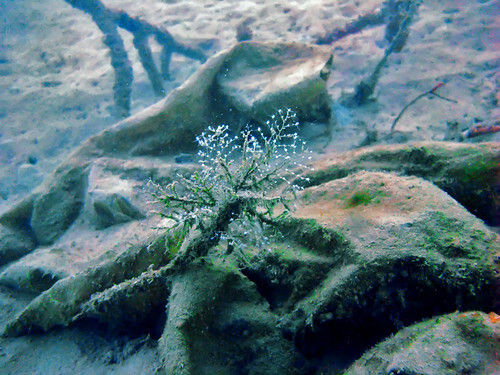 Now their remains covered with algae impress divers, reminding us that it doesn't take a lot to kill even the most rock solid creatures. 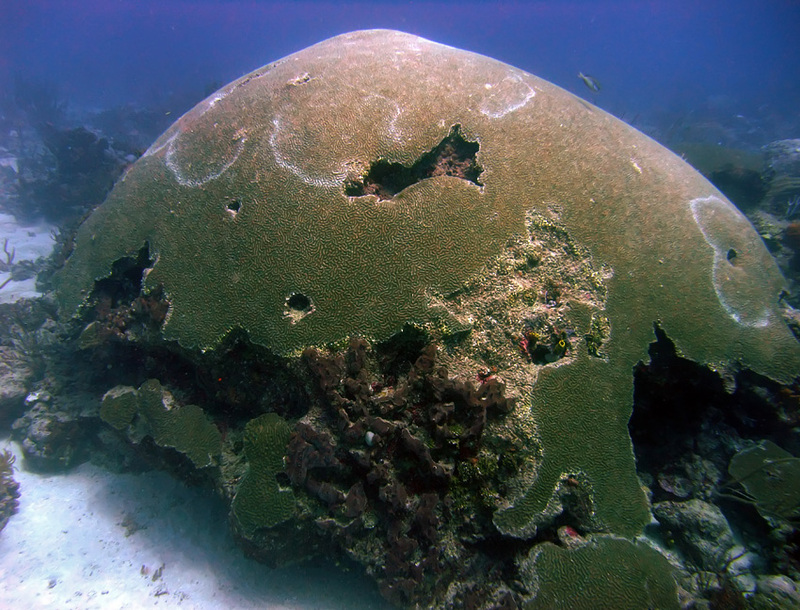 I think the saddest thing you can see underwater is miles of coral graveyards. Especially when you see them closely and realize that they died so recently. And even when you come on land, you still can see disturbing things, like people trying to take the last shell out of the ocean, catch the largest lobster, and the largest fish. Whatever you see underwater when diving, I encourage taking pictures of not only colourful fish, flourishing corals, and cute shells. Stop by something ugly and disturbing. 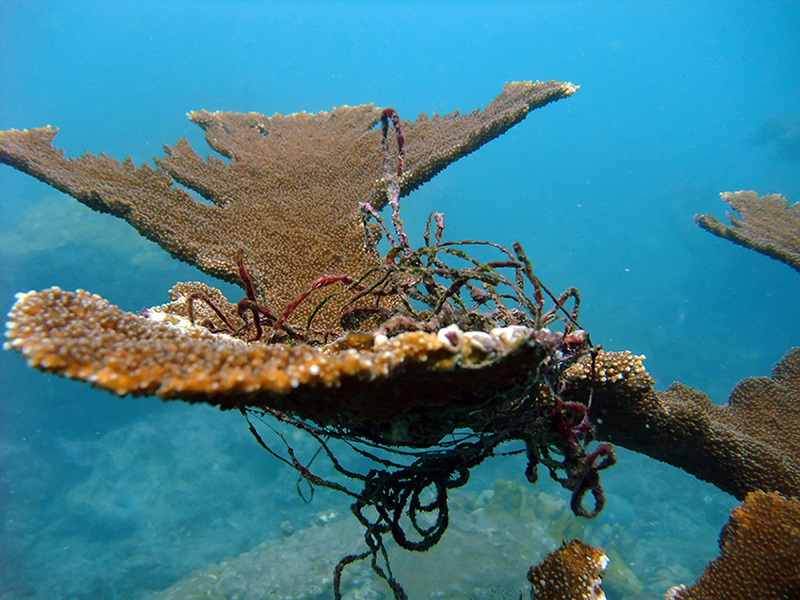 Take a picture of that and show it to you friends to remind about the dying reefs and illustrate that ecological articles do not tell us about something distant to our life or happening in another worlds and dimensions. It's right around us.